Yuck… No! No! No! They can go first and gobble it down in the name of being eco-friendly. Good grief beans are high in protein, so are eggs, hot dogs, burgers, steaks, chicken, salmon, trout, ribs, and a hundred other things. 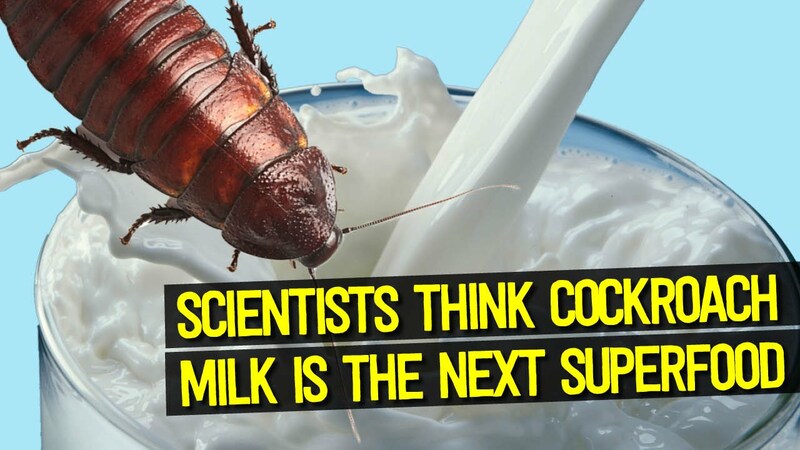 If they want to drink cockroach milk they can go right ahead and knock themselves out! As for me and mine just forget it because it’s never going to happen. CNN: A little cockroach milk with those cookies? Chock full of protein, the insect milk may someday be transformed into a food supplement worthy of human consumption, new research indicates. Scientists have found that the Pacific Beetle Cockroach feeds its bug babies a formula which is remarkably rich in protein, fat, and sugar.